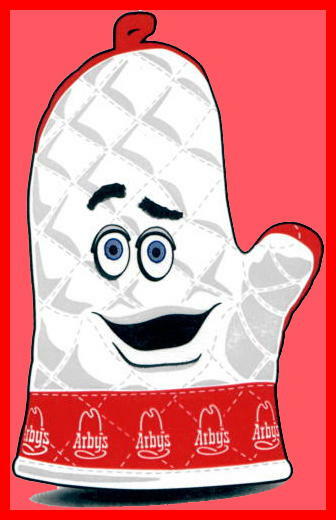 This Saturday is the 47th anniversary of the founding of Arby’s restaurants. To recognize this auspicious occasion, Arby’s is offering their Classic Roast Beef Sandwich for only $0.64, with purchase of a 22 0z. drink. While it’ll end up a bit more than 64 cents, it’s still a good deal, and I encourage everyone to take advantage of it. To do so, visit Arby’s Facebook page on Friday and print off a coupon to redeem at any Arby’s location. P.S. I’m not trying to shill for Arby’s or anything, I just saw this rather underpublicized special far enough ahead of time to post a heads-up. If anyone knows of any other special offers, let me know in the comments. Haven't seen this guy in a while. Wonder if he's gonna be part of the birthday celebration?